When Are Tennessee Stores Liable for Injuries Sustained by Disabled Customers? If you have a disability that makes it difficult to get around, shopping in a public store is often an exercise in navigating potential hazards. And while Tennessee law does not make a store owner an “insurer of their patrons’ safety,” there is still a general duty to exercise “due care” in keeping customers and invited guests safe from certain obvious hazards. An owner that fails in this duty may be held liable for any personal injury sustained by the customer. For example, a federal magistrate judge in Tennessee recently ruled a supermarket owner must stand trial for its failure to clear an obstructed sidewalk, which allegedly led to a patron suffering injuries when her mobility scooter tipped over during an effort to navigate around the hazard. The magistrate rejected the store owner’s claims to dismiss the case. The plaintiff is a woman from Alabama who suffers from “lumbar degenerative disc disease.” This requires her to use the mobility scooter when “walking long distances,” according to court records. One day in December 2014, the plaintiff traveled with her husband and daughter to do some Christmas shopping at a strip mall in Chattanooga. While her daughter shopped at one store, the plaintiff and her spouse went to a supermarket to buy groceries. As is common with strip malls, there was a sidewalk connecting the individual stores so that patrons would not have to enter the parking lot to move from one store to another. The curb in front of the supermarket was also beveled to enable mobility scooters and wheelchairs to pass up a ramp onto the sidewalk. When the plaintiff attempted to traverse the sidewalk on her scooter, however, she found her path blocked by a pile of firewood that the supermarket had placed there, presumably for sale. The plaintiff then decided to exit the sidewalk, went down a ramp, and tried to navigate towards the supermarket by going through the parking lot. This required the plaintiff to traverse a speed bump, which she failed to do. To the contrary, her scooter overturned on the speed bump, causing the plaintiff to fall and injure her shoulder. The plaintiff subsequently sued the owner of the supermarket, alleging its negligence in placing the firewood on the sidewalk caused her to attempt the “unsafe, alternative route” over the speed bump. As noted above, the defendant supermarket moved to dismiss this allegation, but a magistrate denied the motion. The magistrate found the supermarket “owed a general duty of reasonable care to assure that the sidewalk in front of its store be free of obstacles that would prevent a pedestrian or disabled patron from accessing the store entrance without having to leave the sidewalk and venture into the parking lot.” It was also “reasonably foreseeable that a scooter-driving customer” would be forced off the sidewalk and forced to navigate the speed bump. The magistrate did not hold the defendant actually breached its duty of care, however, reserving that issue for a jury. If you have been injured due to a store or other property owner’s negligence, you may be entitled to compensation. 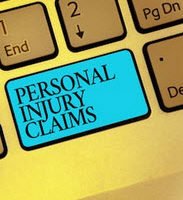 An experienced Clinton personal injury lawyer can review your case and help explain your options. Contact the offices of Fox & Farley, Attorneys at Law, to schedule a free consultation with a member of our legal team today.